The second SWASDAG campaign in the Himalaya led by Associated Senior Lecturer, Anshuman Bhardwaj, Post-Doctoral Scholar Lydia Sam, and PhD. student Thasshwin Mathanlal has achieved successfully all the planned operational and scientific goals. 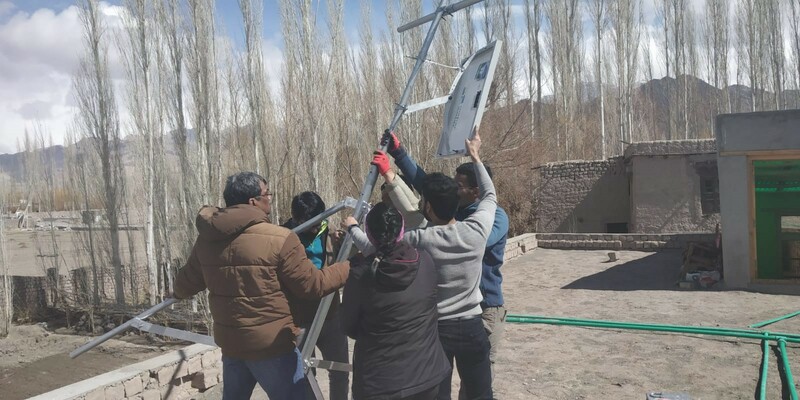 The team built in situ with the help of local partners from Jawaharlal Nehru University (JNU) the clamps and tripods to fix the five air quality and meteorological parameter measuring stations originally designed and developed at Luleå University of Technology (LTU). 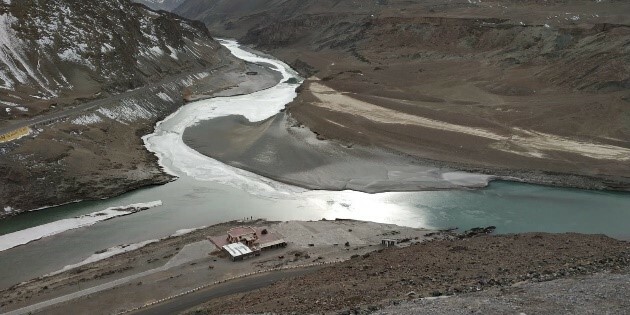 They took transverse and longitudinal profiles across and along the Indus River and its confluence Zanskar (tributary) at various elevations to know the best places for the station installation. Indian collaborators from JNU have been extremely helpful. 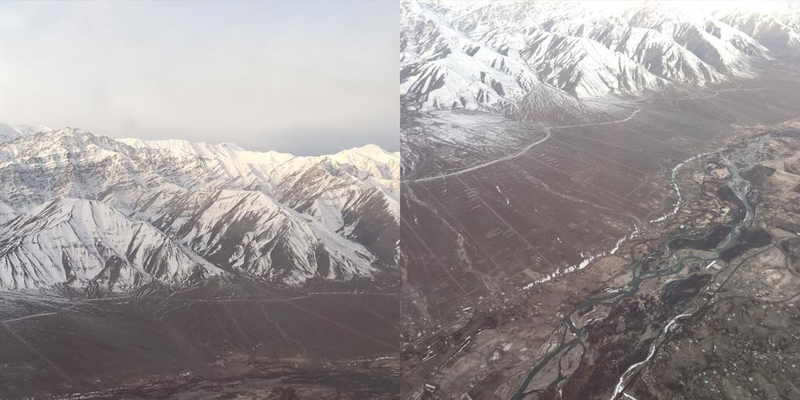 Impressive view of the Indus River and its confluence with the Zanskar River. During the process of stations’ installation the team has visited impressive landscapes of the “world ceiling”. 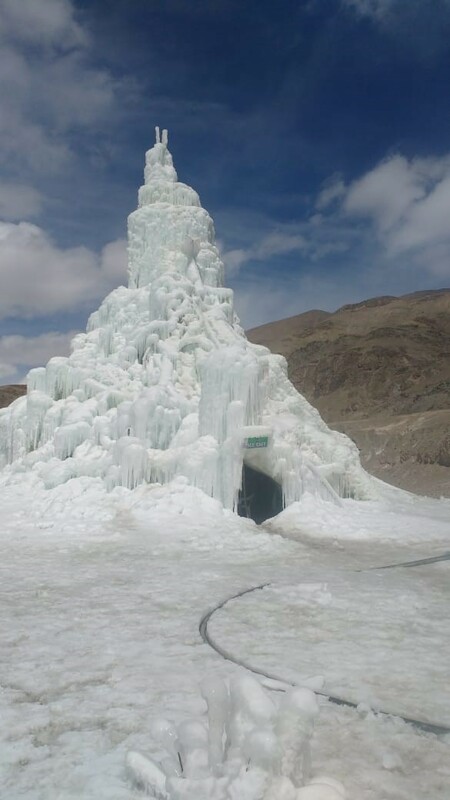 One of the stations has been installed near an artificial glacier at 4,200 meters of elevation. Artificial glacier location of one of the stations. 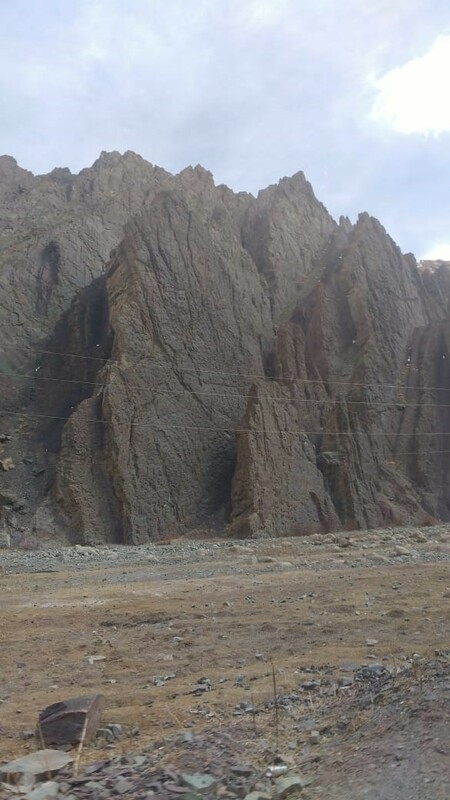 Also one of the environmental monitoring stations was located at the lowest elevation of 3,200 meters near the banks of Indus. 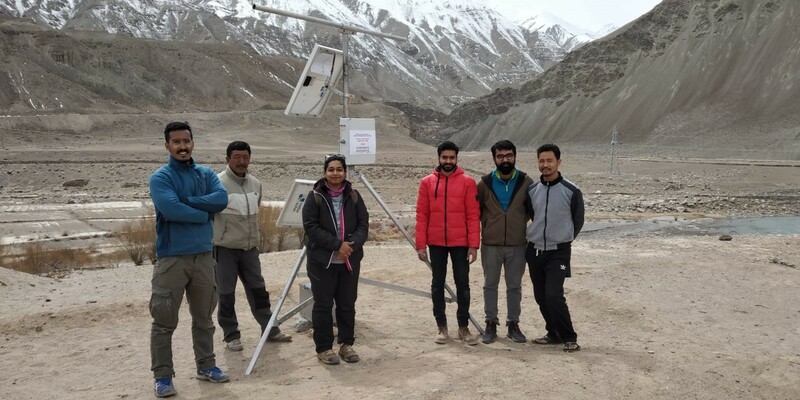 Thus, we now have first such dense network of air quality measurement sensors in the Western Himalaya covering an elevation range of 1,000 meters and within a distance of ~100 km between the highest and lowest stations installed. Lowest elevation location for one of the stations.